"The Life of the Party" is an interactive performance party across time, including music and mood to match mod, drag fab, elegant, costume party, and the disco eras. We're going to alpha test interactive elements of this production which has been accepted to the Edinburgh Fringe Festival this summer in Scotland. We'll be welcoming our guests by suggesting they dress in one or several of the eras above, and will be filming the party for use in projection during our piece. Further experiments with non-lethal (hopefully!) flaming projectiles on human subjects. Craft and test during the day! 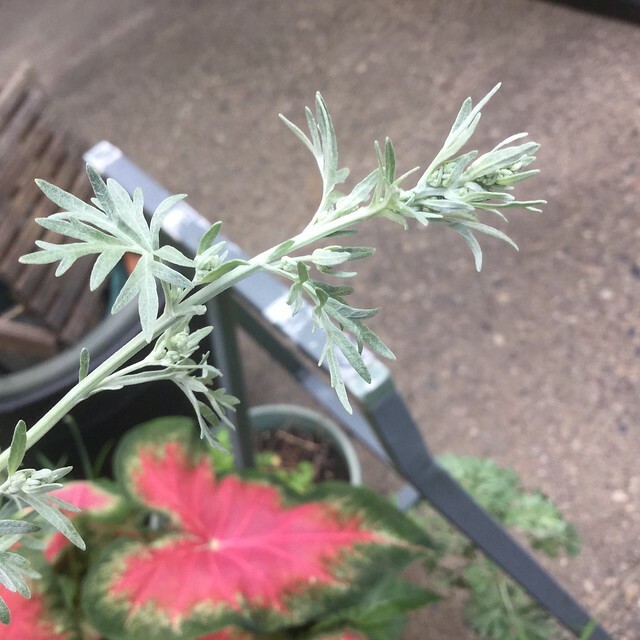 Learn the basics of how to turn the plant wormwood, specifically Artemisia absinthium into a thujone rich alcohol based beverage. 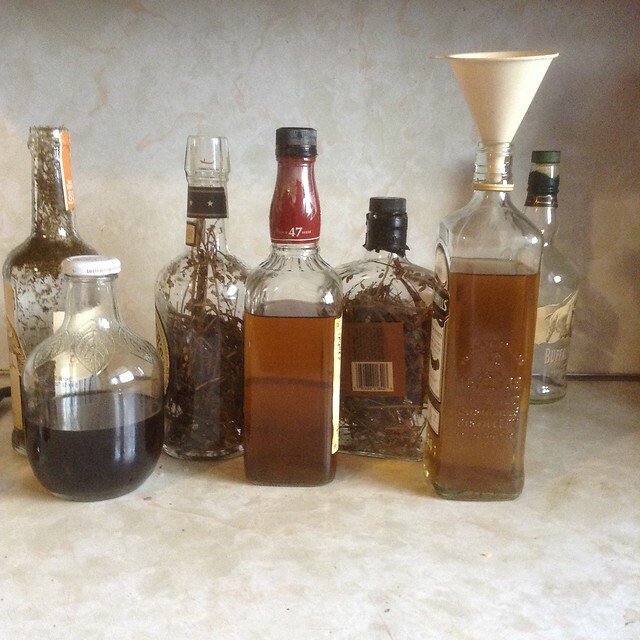 Plant and drink samples will be on hand. Not for sweet sticky absinthe fans or people allergic to everything. Now that you're a professional artist, how do you get your stuff ready for an accountant? A comptroller trained by German accountants once called this plug simple analog method I devised "the most beautiful thing" he'd ever seen and that it would be "bullet proof in an audit." Let's design and build a cool lamp from our array of scrap, pipes and wires. And you can take your brand spankin lamp home! Tools and everything will be provided. If you have something you want to turn into a lamp... Bring it! Can puppets remediate your life?? Find out at the Alpha-Remediation Workshop series! We will be creating puppets and performances based on the twin concepts of mitigation and remediation. It's bocce ball for the hippy-trap set. Mono-casting is a simple technique for producing complex caste sculptures. This totally hands-on workshop will introduce the simple technique and get you building and making immediately. We will be building miniature inverse sculptures from clay and immediately casting them in plaster. A very quick process. 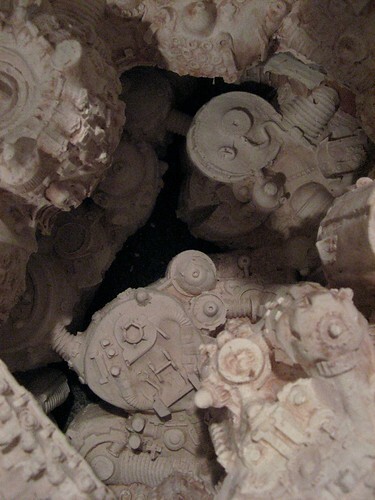 Making a mold is an exacting and complicated process but Mono-casting is a shortcut that allows you to make intricate sculptures with a minimum of experience. This is a workshop getting down to the basics- how do you start a fire and how do you build a fire up? We will collect materials and discuss how to find the best materials. Build foolproof fires that will light with just one match. And discuss how to use the basic principles of fire-building to design artful burning structures. Disease-transmitting ticks are super common in rural Maryland, and the sneaky little buggers bite for days without your feeling a thing. I'll share tips for how to do a tick check and resources to call upon should you find one lodged in your skin when you get home. Learn to make a simple alginate mold of your hands, head, or torso (or all three.) We'll also cast in plaster if possible. Ever wonder what the difference is between watts and amps? Don't know how to keep from blowing a circuit? Does electricity give you The Fear? Well, it's all pretty simple and I'm happy to explain. Between 3:00 & 3:10am, please take a moment (or two) to howl like a wolf...if you hear howling, please respond in kind. It's a dance floor. It's a performance space that hides the audience. It’s for extroverts and introverts alike. It's Mirror, Mirror2. Step in and be the show. Watch a tetrahedron fire sculpture burn to the ground. We will honor Bob by painting with Bob and being Bob as much as we can. Come make edible slime, rainbow water beads and glowing bubble water. Dress for mess. For one year I drew a mandala a day as a form of self-expression and art therapy. Join me in exploring group mandala-making as a way to participate in a calm activity that will rejuvenate your creative-spirit, give you an emotional outlet, and help you bond with others. 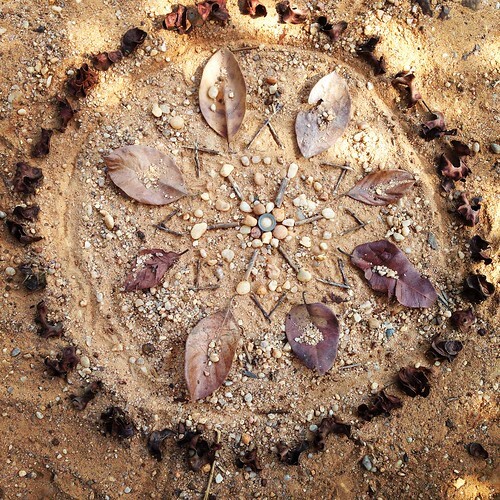 We will collaborate with found objects to create one large mandala together, incorporating elements of design, and feeling unified to make art as one. 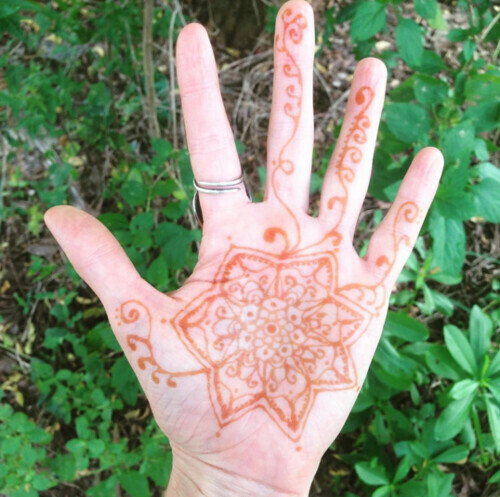 Traditionally in Indian weddings women get their hands and arms decorated in Henna. As a statement for all kinds of love, I will be teaching all genders how to use henna to make traditional Indian designs, offering examples on paper, and tubes of henna for participants to experiment with on themselves and each other as an expression of the many types of love stretching from love for other humans to a deeper, more intimate love. Primal glowing entity, love child of the Department Store and the Department of Natural Resources. 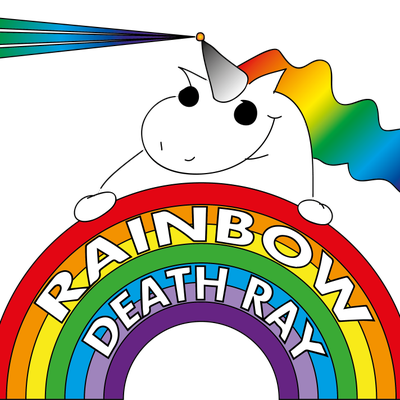 Good for doodling and those who enjoy lasers. Be the best you… perfect the Alpha You. A special Alpha Mail agent will interview you and ask ridiculous eye-opening questions. Your interview will be mailed back to you in 2017 reminding you to be the Alpha You. What it says in the title. Mouths optional. We may also discuss what makes a face, a face. Feel free to bring your own items that need googly eyes, or forage for items at ALPHA! Ever wonder how some people always seems to have the connections to get the best job leads, project opportunities and inside information? Learn how to ask your friends to introduce you to their friends: the people who can help make it happen. Featuring a little bit of 1970s sociological theory and a lot of real-world practice: email templates/ etiquette, example questions and conversation starters, and a strategy for this whole networking thing - applied to your goals. It's a fire building class as you would imagine freshman figure drawing. Each student is responsible for their own composition. Instructors facilitate and empower students to execute their ideas. On an as-needed basis, instructors may gently relate salient facts about fire building, but the goal is for the students to explore, make mistakes, and hone intuition. In the epic quest for a weatherproof project to take the streets of Scotland, we bring you “Funbrellas.” Step under one of the Funbrellas and have a unique one on one interactive experience. A shrine to the creativity, collaboration, and cheap thrills of 2016 — leave your offering. Activity culminates in a communal ritual cleansing ceremony - bring appropriate supplies. An epic journey from the micro to the macro cosmos, combining the talents of a hand picked group of international artists. The aim of the project is to cross pollinate the magic of science with multimedia art. A collaborative video production by Linear Imaging (SE/AU). Scientific imagery by Linnea Rundgren. Spoken word by Hugo The Poet (UK/AU). Animations by Dave Abbott (AU). Music by Sk'p (BE). Aaron, Liam, and Carly will answer all the legal questions you were too afraid (or couldn't afford) to ask a lawyer before! Aaron advises clients on how to get into and out of trouble with technology. Does your art project involve appropriating the art of better, more famous artists? He will be dispensing slurred, ill-considered advice on intellectual property law. Does your art involve hacking the mainframe? He defends people charged with federal computer hacking crimes and will tell you what to expect when the FBI comes to your house and takes your XBOX. Liam has sued (and defended) all sorts of clients, from shady international banks to shady eBay scammers. He knows a very small amount about a lot of different law, which makes him uniquely qualified to get drunk and not give you legal advice. Have a great idea for an (allegedly) illegal business? He can tell you how you'll get caught. Ever wonder why you can go to jail for shoplifting, but not financial fraud that undermines the entire economy? He can tell you, but you're not going to like it. Carly advises nonprofit organizations and social enterprises on a variety of issues. Are you interested in setting up a nonprofit organization so you can take tax-deductible donations for your art project? She'll explain why that's a terrible idea! Thinking about setting up a socially responsible company, and want to understand the difference between a benefit corporation and b corporation? She can explain it, but it won't be any clearer when she's done. Wanna talk about disregarded entities? Okay, we can talk about disregarded entities. If you come to our panel, please remember that we are not your lawyers, and we are not sober. We hope you won't be either. With a little persuasion, and a lot of voltage, we'll burn slow motion lightning bolts across a wooden surface. Come see us carve fractal-like Lichtenberg patterns and find out how it works. Have a piece of wood that really needs a lightning bolt on it? 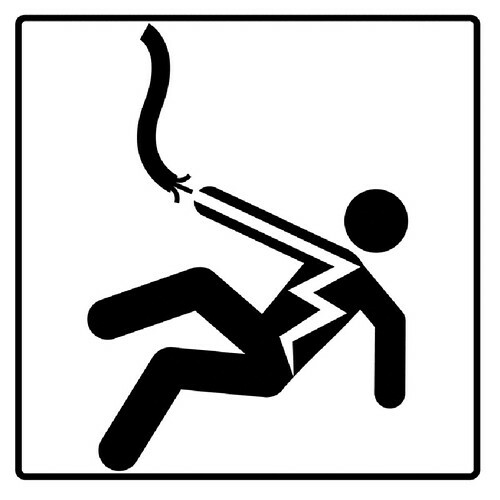 We'll zap it with 9000 volts and see what happens. The Astronaut invites you to join them for intimate screenings of actual historic space films. Since seating is extremely limited there will be multiple shows. Your Terrifying Makeover by Elizabeth C.
Attending an evening soiree? Searching for a terrifying new look? Come get an upsetting makeover, guaranteed to make others uncomfortable. I will fix your face, or destroy it, or both. I'll provide makeup or you can bring your own. Bring inspirational images, or don't. I won't use them anyway. Do you believe that the connection of sea will be inherited? "Breath of Sea" is a sharing perofmance/arts project of a Hong Kong girl from a fishing family. To explore, to recover and to recall the memory of sea from every drop of blood by inherited. Delivery of correspondence and parcels of reasonable size to the various attendees of Alpha. Lego Block City creates a blank canvas for participants to create the world they want to through Lego. Come build and play with us. Hungry Hungry Hippies by George I. & Jenna H.
Like Hungry Hungry Hippos, but with human-driven hippies* instead. Hippy accouterments will be provided, but more awesome is always welcome. DIY Escape The Room: Make It or Do It! by CJ Brigade & YOU! Let's create our own Escape the Room-esque experience! Learn about best strategies & concepts, then help put together puzzles & clues that we'll test run later in the weekend. Seeking both collaborative makers & experience-goers! I am a newbie welder and I've recently been inspired to make soft looking things out of steel, so I want to work on making steel flowers out of steel. Mercury 101 explains the history, science, sources, symptoms and solutions to mercury poisoning in a fun, easy to understand, sometimes scary, but always educational format. Learn how mercury can affect your life, your daily activities, and how we sometimes live our lives with an addictive attachment mercury poisoning. All music began with the heart beat. Make your own beat, at this four-sided music-generating machine. What do pandas do? The giggle and roll down the hill. In this workshop we will explore the finer points of this critical survival technique. Costumes optional. Join Johnny B in a reflection on the construction and destruction of self. Bring old clothes/treasures to make a representation of yourself (like a scarecrow) and join others as we burn a crowd of metaphorical people to the ground. (This is not a temple burn, reverence is optional and individual). Self effigies only though how you choose to represent yourself is up to you. We will experiment with creating giant fireballs using flammable powders like sawdust. Come and join us as we play with making blended drinks and listen to smooth rock music. Bring your own cup. An interesting fire sculpture will be built, beheld, and burned. Provocation is a new game show, piloted for the first time at ALPHA 2015, that rewards contestants for being obnoxious. Compete for prizes! Insult your friends! I've written a book about FIGMENT, and it comes out soon! Join me for a reading of the chapter of the book about ALPHA: "The Alpha Test (failure is not an option; it’s a requirement)." Learn what the spider means! The book is done! And it comes out soon! Be among the first to find out what the heck is in the Book of FIGMENT, how and why Dave wrote it, and when it's coming out! Your name is probably in this book, and this is your chance to make sure! If it were up to you and you alone, how would YOU plan Earth? If we could start over, from scratch, repopulating this or another dewey planet, what would life look like? In this world, there’s not much choice: cities and entire civilizations were built by accident, over time, piling garbage on top of mistakes on top of short-sightedness. But what if we had all the time, resources, and forethought to do things right? What does “right” look like? How is society set up? Who governs? How do relationships and family work? Where do we live and what do we eat? Are there hot tubs there? These are the questions we could answer today that could help us thrive in a parallel tomorrow. I going bigger and better this year and I need help to do it. Meet down by the pond and experience the joy of building something big with friends! We will be using drills, ladders and other fun tools! It's April. It's going to be cold. I'm bringing my new and improved hot tub for everyones good times. A discussion, beginning with some questions for the participants to answer individually, about embracing the challenges that change presents with an open mind and how to learn from these challenges in order to enhance your career, projects, or satisfaction. slow down in the slow mo zone where everyone must move through in slow-motion. 'nuff said. Also - enjoy this video of the 2015 Alphagy! Check out our updated ALPHA Artists + Projects for 2015!